Wounded Times: Couple heads to jail...after charity helped them? Couple heads to jail...after charity helped them? I am not posting this whole thing...but it goes with the unintended theme of the day. YOU CAN'T MAKE THIS STUFF UP! Jeffrey D. Allred, Deseret NewsRetired U.S. Army Cpl. 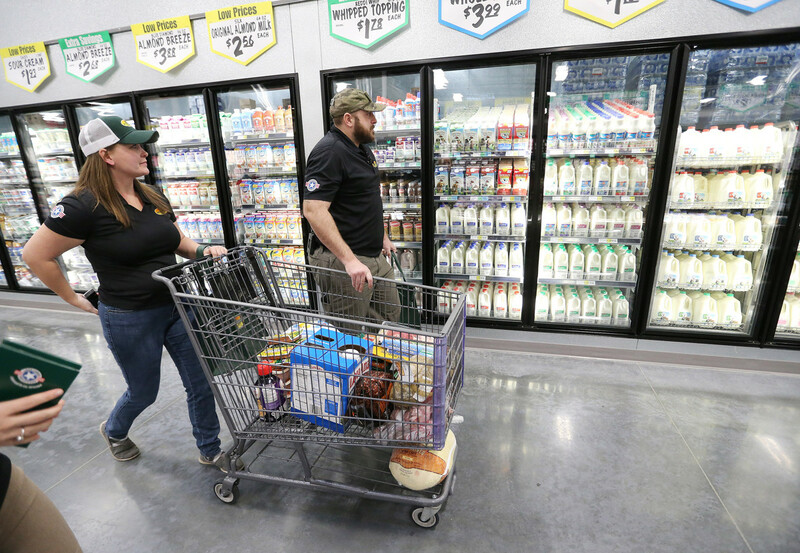 Nicholas Mannino and his wife, Stephanie, shop at the WinCo grocery store in South Salt Lake on Friday, Nov. 17, 2017. Mannino was given $10,000 for a year's worth of groceries at the store. They two were sentenced to 30 days in jail and three years' probation in connection with a theft at Kohl's. 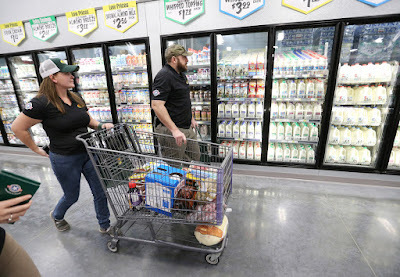 "Days before the couple was due in court in November for the charges, a group that helps military families who are struggling financially awarded the couple the grocery prize. The charity, Operation Homefront, said later it was saddened by the case and would consider the resolution in deciding whether to award the entire $10,000. Background checks weren't typically required when the parents of six were selected, the group has said."